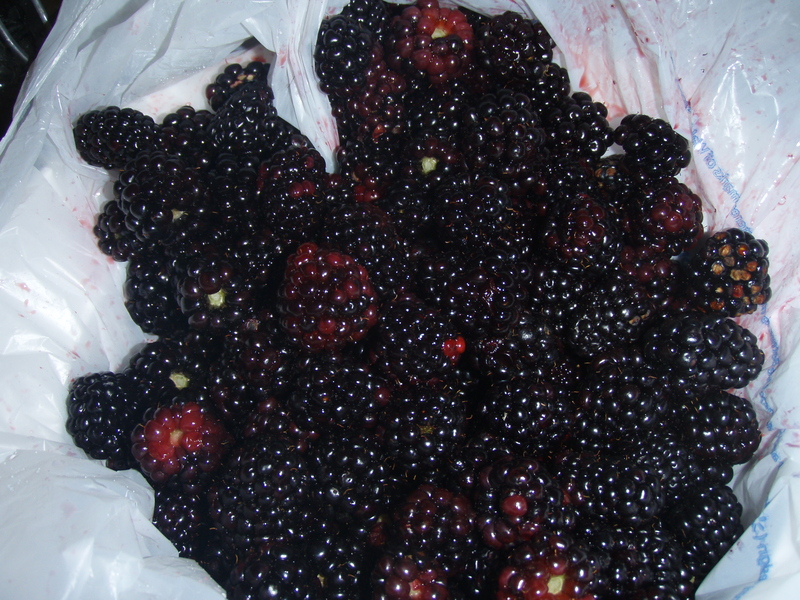 Summer is here (a little early in some places) but yesterday I went berry picking. Stop by my FB page, A Chef of Your Own, leave a comment and go into a drawing to win a set of jams I will draw on Mother’s Day. I’ll put them in the mail Monday. Good Luck. 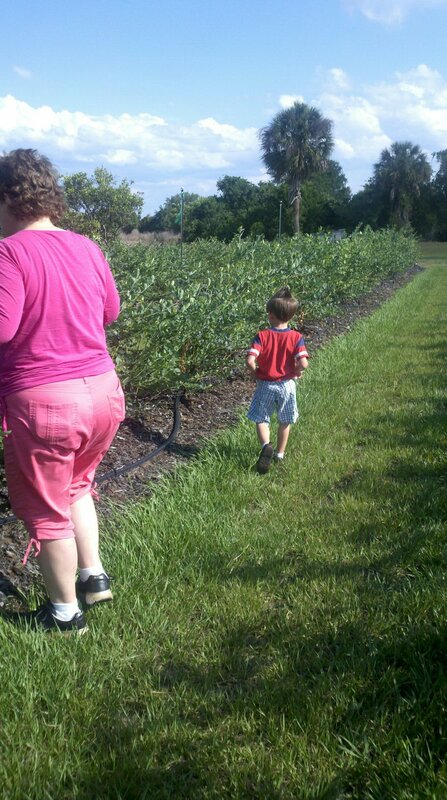 I went with my niece and great-nephew to pick blueberries and black berries. 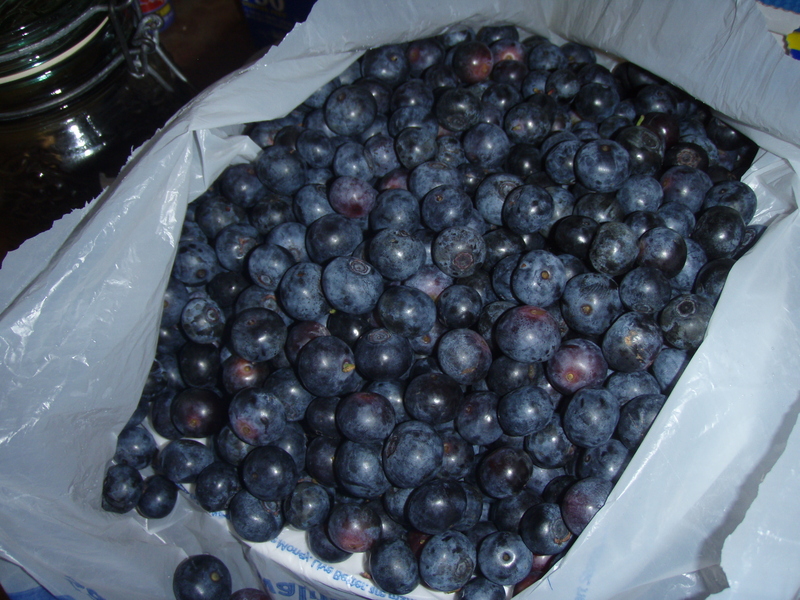 In just under an hour we had about 12 pounds of blueberries and 2 pounds of blackberries., about $2.50 a pound. Just enough blackberries to make a batch of jam, and enough blueberries to make jam with some leftovers. 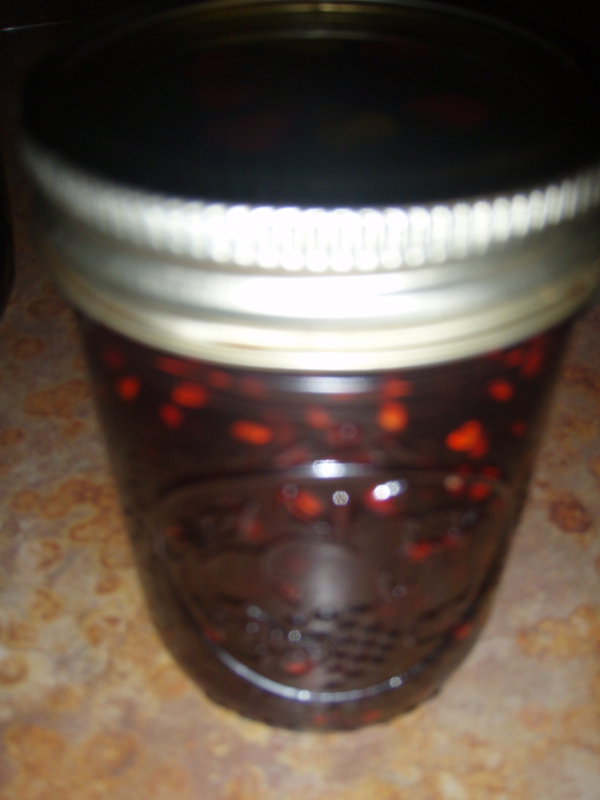 Recipe is from Certo Sure jell that I’ve been using since making jams with my grandmother many years ago. Prepare jars, I boil the lids to make ready to jar. Set aside. 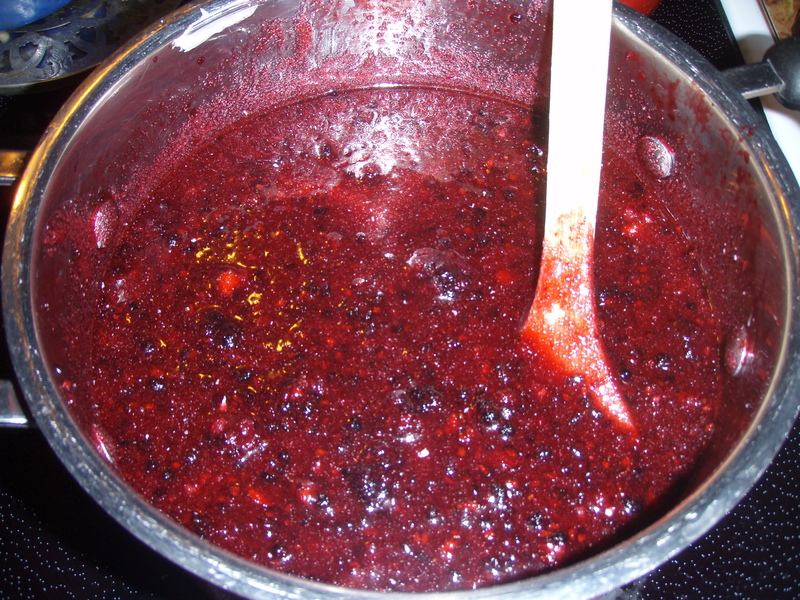 Bring berries and sugar to a boil over medium high heat, stirring constantly. When mixture comes to a rolling boil, stir in CERTO, bring back to a boil and boil for 1 minute. Remove from heat, and pour into jars. Place lids on jars and turn over for 3-5 minutes to distribute fruit through the jam. Turn over and store in a cool, dry place. A Chef of Your Own cooked an early Mother’s Day Lunch this past Sunday. The guests requested a “Kosher Style” menu and after working together, we came up with a winner. 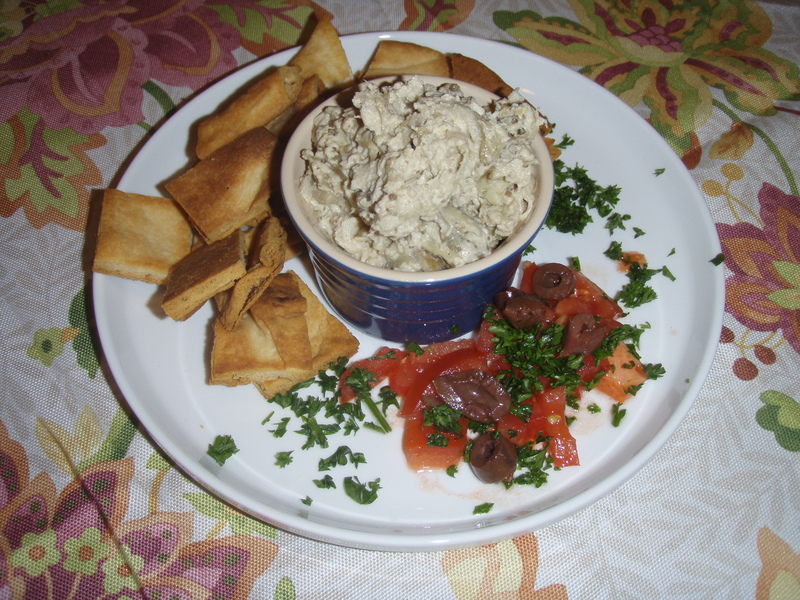 The appetizer was Baba Ganouj, or roasted eggpant spread. I got this recipe from an amazing cookbook, “Our Food,” by Anita Hirsch. Place the eggplant in the oven, under the brioler, or over a glass flame until the skin is scared and black, about 25-30 minutes. Thew flesh will feel soft and juicy. Cool for 10 minutes. Rub the skin off, holding the eggplant under cool water. Squeeze out as much juice as possible, since it is bitter. Puree the eggplant. Add the tahini, lemon juice, garlic and cumin and continue pureeing until well combined. Serve with parsley, olives, and tomatoes. Serve with pita chips or other flat bread. Combine flour, sugar, baking powder and salt in a bowl. Combine milk, oil, egg whites, and egg in a small bowl; combine well with a whisk. Add to flour mixture, stirring until smooth. Add blueberries, stirring gently. Cook waffles according to manufacturer’s directions. *Note:If you are using frozen blueberries, do not thaw them before adding to batter. Here is a recipe for a friend request from A Chef of Your own. These come from a great book, “Low Carb Gourmet” by Karen Barnaby. In a blender or food processor, combine the flaxseed meal, walnuts, almond meal, cinnamon, salt, and sweetener. Blend until the walnuts are finely ground. In a large bowl, whisk the eggs and 1/2 cup soy milk/ Add the walnut mixture and combine well. Cover and refrigerate for at least 1 hour or up to overnight. When you are ready to make the waffles, stir in the baking powder and the remaining 1/2 cup of soy milk. Beat well. Cook the waffles until light brown according to the manufacturer’s directions.